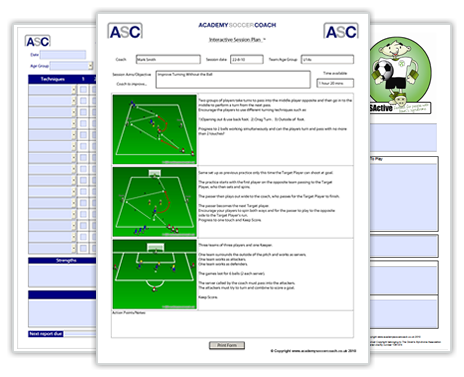 Academy Soccer Coach | ASC - Soccer Coaching Resources for Professional & Grassroots Coaches. 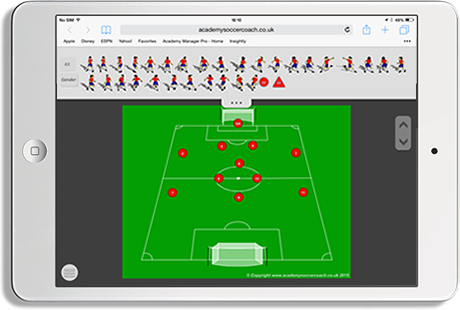 Our online Session Template enables coaches and teachers of the game at every possible level to create their own professional and visually rich diagrams to illustrate their coaching sessions and support their work. 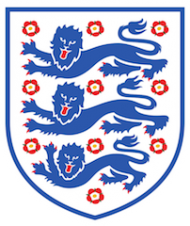 Official Education provider to The LMA. Interactive session plans™ and digital coaching forms. 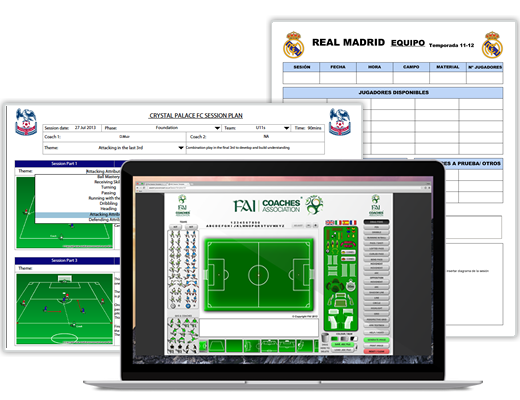 Our Interactive Session Plans™ and Digital Coaching Forms represent a huge step forward for football clubs and coaches that need to plan and record their coaching sessions and practices. The Academy is where coaches at all levels can get exclusive access to some of the most forward-thinking and original soccer coaching resources available. Not only will it help you to develop your players – but it will also help you to develop your abilities as a coach. • White-label/Customised Session Template software. 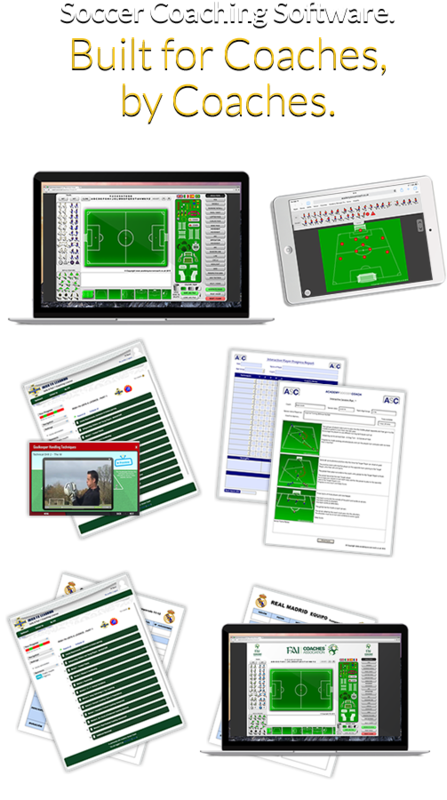 • Customised Interactive Session Plans and Digital Coaching Forms. 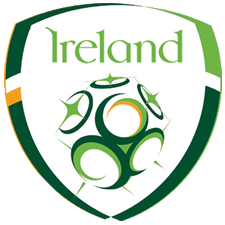 Academy Soccer Coach’s innovative learning systems have enabled football education providers to transform the way they deliver & manage their education programmes & qualifications. 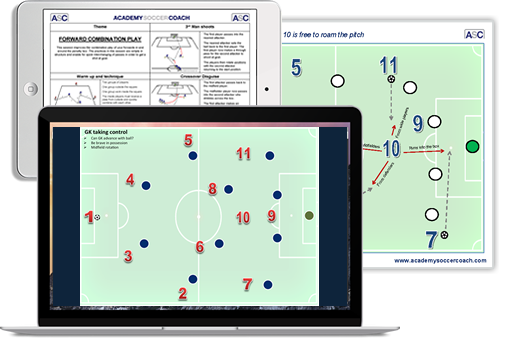 The ASC Shop offers you the opportunity to access a range of Coaching Journals,Tactical Formation E-Books and Academy Football Sessions developed exclusively by our expert team of Premier League Academy coaches. 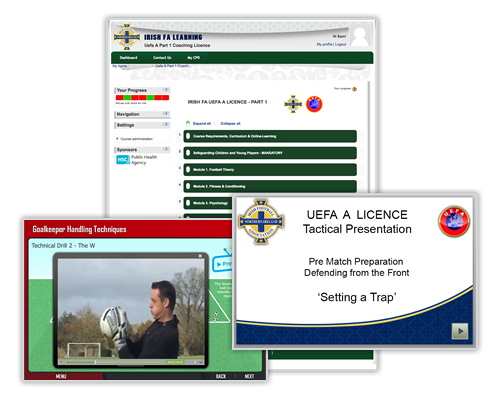 Covering every aspect of the game and fully illustrated with clear and easy to follow instructions, they’re suitable for all ages and abilities and make the perfect addition to any coaching library. Downloadable Coaching JournalsEach journal contains a mixture of up to 25 practices and small-sided games that focus on developing your players abilities’ across specific areas of play. 4v4 Games – Fun Games – Build-Up & Multi-Finishing Drills Tactical Formation E-BooksExclusive to ASC & instantly downloadable in PDF format, our range ofTactical Formation E-Books provide you with unique tactical insights into the game’s most popular team formations. 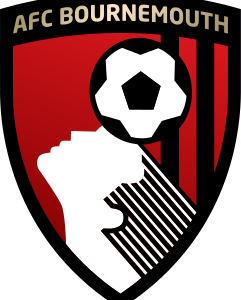 Academy Football Sessions100% ‘Game based’ & tried and tested by our technical team of EPL Pro Youth Coaches…our Academy Sessions provide you with a ready-made curriculum to will help you improve and accelerate the technical and tactical development of your players, across all areas of the game.